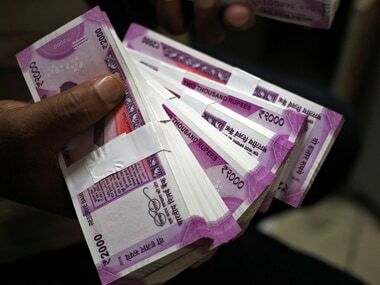 For low-income households, desire to have a bank account matters less than their occupation and need for cash when deciding to participate in formal banking, according to a survey done by Institute of Rural Management, Anand, Gujarat, between May and November 2016 in rural Uttar Pradesh and urban National Capital Region (NCR). Uttar Pradesh is home to India’s largest number of poor as well as the highest number of accounts opened under Prime Minister Jan Dhan Yojana (Prime Minister’s People’s Wealth Programme), the zero-balance account launched to attract the unbanked in August 2014. The state had 47.19 million or 15.6 percent of total PMJDY accounts as on 27 September, 2017. NCR is a planning region encompassing three states with the country’s capital as its centre. The survey was funded by JP Morgan, one of the world’s top financial services companies based in New York. 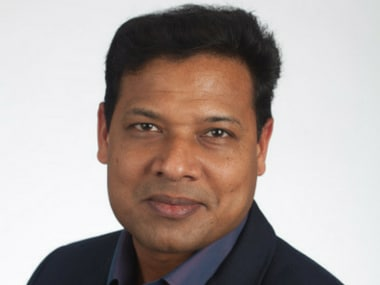 A development expert with over two decades experience in Asia, Africa and North America, Labh, 44, studied statistics for his undergraduate degree and is a graduate of the Indian Institute of Forest Management, Bhopal. In his free time, he likes to camp, and play volleyball and badminton. 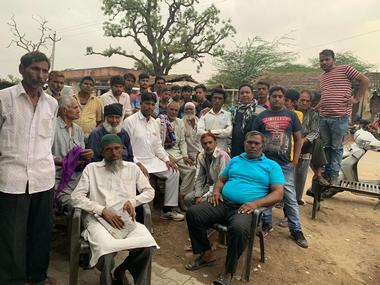 The survey on bank account usage by low-income households in rural Uttar Pradesh and urban NCR shows that liquidity matters more than having a bank account. Does that mean such households have a great preference for cash that without a big push from the state they would not switch to a digital ecosystem? The preference shown by these households is driven by their occupations, livelihoods and the financial ecosystem in which they operate. For a micro-entrepreneur who has to make payment to suppliers, workers and vendors in cash, shifting their inflows to digital channels entails inconvenience and additional cost. Shift to the digital channel must happen at the ecosystem level and not merely for individuals having bank accounts. The survey reveals that occupational profile is a big determinant of preference for banking than access to accounts. For instance, in the sample, while agricultural labourers were 46 percent more likely to use a bank account than those without jobs, non-agricultural casual labourers were 11.5 percent less likely to opt for bank accounts. 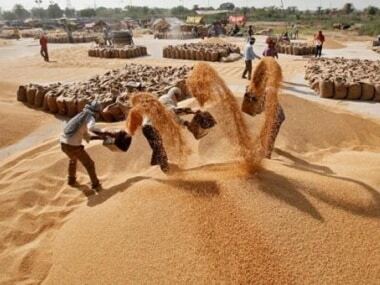 Workers under the Mahatma Gandhi National Rural Employment Guarantee Act (MGNREGA), the rural jobs scheme, were 75 percent more likely to use a PMJDY account. Are we then putting the cart before the horse by pushing for financial inclusion before economic inclusion? Financial inclusion is the pathway between accessing economic opportunities and realising its outcomes, which is improved economic health of an individual/household/community and so on. Both have to work in tandem and should not be seen separately. A classic example of this is the data for MGNREGA beneficiaries who end up using their accounts because the ‘economic opportunity’ provided to them is nudging them to manage their finances through a formal bank account (PMJDY) therefore including them in the folds of formal financial services. The financial inclusion discourse has to move from focussing on individuals only to targeting the entire informal sector including micro, small and medium enterprises, agriculture and allied services and all forms of services. Your survey reports that women prefer bank accounts more than men. On the other hand, accounts opened in the name of women in your sample were more likely to be inactive. How do you explain that? Our report documents both existing realities as well as unmet needs and preferences, which can be pointers for future design and delivery of financial services. The low levels of activity in accounts held by women is a reality for women today; however, their aspiration and preferences to bank through formal sources is an insight that we would hope should be put to use as market intelligence by relevant stakeholders. Women are also found to be more effective as change agents to realise positive outcomes at a household level. We, for one, are certainly using this insight to design our pilot interventions in different parts of the country. Coming back to low account usage by women, one has to look at this issue in more depth. Only seven percent households surveyed had women as primary earning members. Their participation in the workforce is low and hence their control over managing finances of their household is limited. Hence, even with a preference to bank with savings as a primary motive, the resources to do so are not available. Your survey shows there is a 28 percent likelihood of an account becoming low-usage and 80 percent likelihood of an account having no balance the farther the bank was. Does that mean the business correspondent model has failed? On the contrary, the study actually builds a case for business correspondents. The survey was designed to gauge perceptions of respondents with respect to the distance between their residences and brick-and-mortar banking structures. The survey did not look at agent networks. The idea was to document the psychological distance that the respondents perceive with respect to PSU/private/grameen banks. We did not actually map these distances but this perception itself has a story to tell–data collected around banking experience that showed poor customer service, tedious documentation and complex processes as being some of the top reasons that deter low-income segments from banking shows that access is still a major challenge not merely due to physical distances but also due to the psychological disconnect. Agent networks are a powerful tool to bridge this kind of disconnect and enable greater inclusion into formal banking. We believe there is an urgent need to invest in building high-quality agent network, which provides service quality and customer experience similar to what one can expect in a bank branch but far more conveniently and closer to home. Trust is a powerful driver of customer behaviour. For a customer to use a business correspondent, he/she has to trust the correspondent. The parent banks must, therefore, invest in proper training of agents, consistent and predictable process management, branding and visibility in order to consistently deliver that customer experience and build trust. The Grameen Learning Platform (GLeap) that we have developed for the training of frontline workers can be a powerful and low-cost tool that can be deployed for the training of the business correspondents at scale, which in turn can improve the customer experience and build trust. Direct benefit transfers (DBTs) were aimed at increasing bank account usage among low-income households. In your sample — dominated by low-income households, with 50 percent rural households and 75 percent urban households below the poverty line for rural (Rs 972 per person per month) and urban (Rs 1,407 per person per month) areas, as defined by a committee chaired by C Rangarajan, former governor of Reserve Bank of India, India’s central bank, in 2014— 35 percent had not operated their accounts in the last three months and 21percent in the last six months. What is the missing link between DBT and bank accounts? DBTs act as strong incentives for low-income households to continually engage with their bank accounts. One of the most popular forms of DBTs accessed is through MGNREGA. As mentioned in the report, greater the scale of the scheme in an area, the likelihood for people to engage with formal banking increased by 32 percent. Moreover, workers employed under MGNREGA were 75 percent more likely to opt for a PMJDY account. Having used such an account to receive payments, the same workers were 39 percent more likely to opt for a savings account. This is a clear shift in preferences enabled due to the role played by this DBT instrument to incentivise the use of bank accounts beyond just regular transactions. In this example, DBTs tied together the livelihood and transactional requirements of low-income segments to significantly affect change in behaviour. Just accessing DBTs cannot ensure sustained bank account usage. These accounts have to strive to become the single most important point of engagement for better financial management, which means access to a wider suite of products like insurance. While the gender gap in bank account usage is about the same in your rural (72 percent men, 62 percent women) and urban (61 percent men, 52 percent women) samples, rural usage is higher for both men and women. Why? One of the reasons is definitely the penetration of MGNREGA in rural areas that have seen greater use of bank accounts. In rural areas, there are other entitlement programmes like fertiliser payments that are increasingly brought under DBT. Emphasis on agricultural credit under priority sector lending for the last couple of decades also means that those involved in farming depend on bank relationships. The problem in urban areas is that due to a large migrant population, some of which is also seasonal migration, the urban poor remain left out of a lot of entitlement and benefit programmes. Problems like not having a fixed address when one lives in slums and shanties around construction sites or in encroached/unauthorised colonies could also affect one’s ability to receive entitlements and have a cascading effect on the propensity to use bank accounts. This result can possibly also be explained by the fact that the data were collected around the time when some focused interventions with rural populations on bank account usages through PMJDY camps were being undertaken. Owing to the novelty factor, the marginal utility of the usage of bank accounts in the rural area was high. Further studies and research need to be undertaken to substantiate this point.